The iconic, nostalgic Nokia phone of the 1990s featured as a spotlight show in the a small exposition display in the Museum of Communication Bern (Switzerland). As a side note, the Museum is worth a visit for all the great ideas for interactive displays for children. 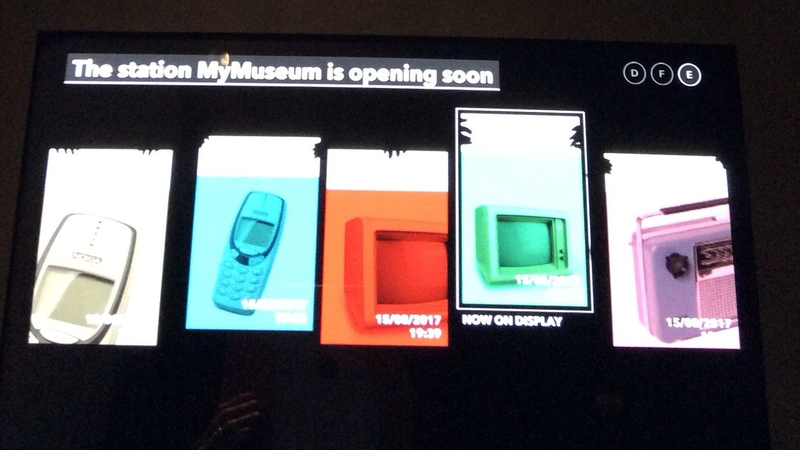 However, the one display that caught my attention was a small expo called the “My Museum” because it was such a simple but interactive experience. The display basically invites you to lean down stick your head into a window “theatre”. Here, with low-lighting and sound-proofing, you feel like you have really been transported into a different “museum” hall. The hall is empty at first, and then a short mini theatre begins using holograms. A visiting audience enters the hall in front of you, and the exposition shows up on the 3 featured columns. The main display item is a Nokia 1990s mobile phone, along with an old television and radio. The exposition talks a bit about the changes in communication and how items we use today will be part of your future. Very simple, but extremely effective and worth sharing. Nokia is also a corporate sponsor and stakeholder for the museum, and I just had to flag this example of corporate sponsorship tied to the functional benefit. Previous Vitra Campus: a model for the new museum?